Thanks to Amelia for encouraging me to do this today. 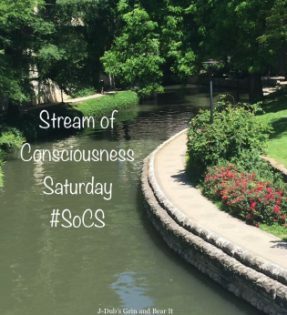 My pingback didn’t work so here’s my link https://mintteaandelephants.wordpress.com/2018/05/05/stream-of-consciousness-saturday-letter/ I’m off to read and share other #SoCS posts. I don’t think my pingback worked Linda. Not sure why. I can’t find your post. Would you mind leaving a link here? It is interesting that the April A – Z will also be using the letter Y for Saturday.